An installation of selected works from Fei Disbrow's In Absentia series, 2015 – 2017. The interdisciplinary practice of multimedia artist Fei Disbrow is rooted in process. 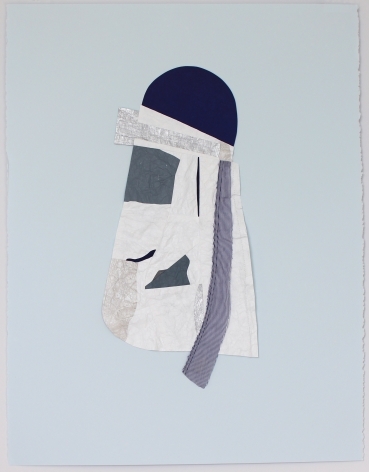 Employing familiar materials such as Tyvek, Mylar, paper, fabric, thread, buttons and grommets, Disbrow screen prints, collages and sews literal images and forms together, adapting them into organic and lyrical shapes. Her deliberate use of void and negative space conjures an anthropomorphized, abstracted residue that implies a corporeal presence. Mutation is key to Disbrow's process methodology and conceptual framework. As a body of work progresses, she extracts elements from one series and mutates them further in the next, cropping, adding, shifting scale. Each compositional mass floats in negative space, as a notion might hover around in one's mind, akin to thought bubbles-in-waiting. Viewers are invited to circumnavigate the flat and multi-dimensional aspects of these compositions and impose their own narratives onto the work. 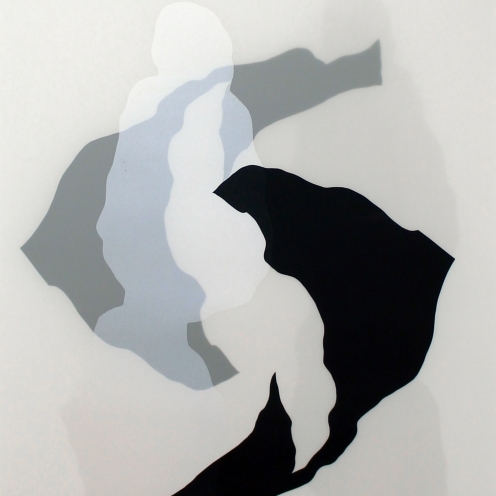 Whether through the development of familiar, dissected corporeal forms or through the use of materials that evoke the body, Disbrow's work connects altered notions of the body and its component parts to the space(s) in which it exists. The result is compelling, at once evocative of something abstracted yet somehow familiar. Her compositions live in the realm of the familiar gone astray: they challenge one's sense of self by rooting in the cellars of the mind, sparking points of connection and illuminating curiosity.